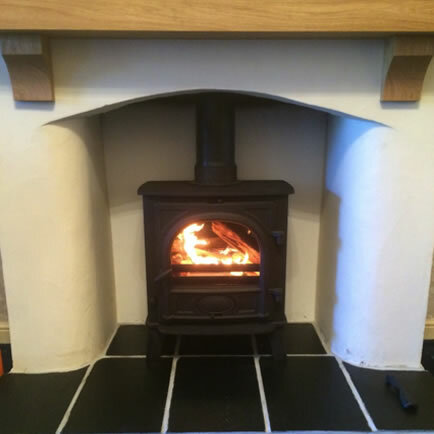 Here are some photos of our work. 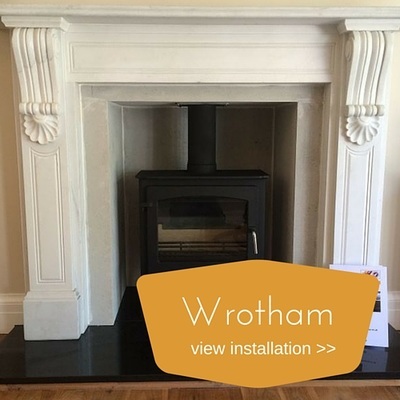 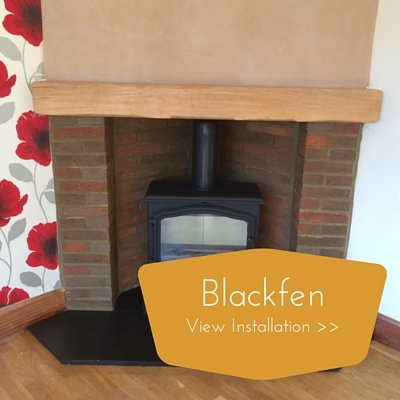 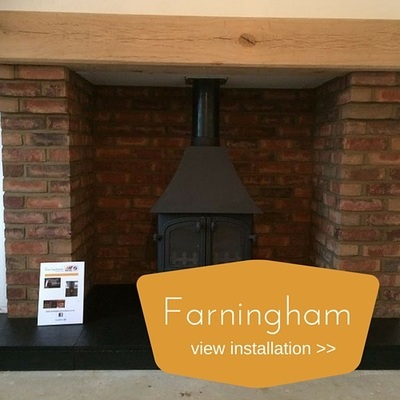 Having many years of building experience means we can carry out the entire job, from chopping out an existing fireplace, or knocking out to find the original fireplace, repointing brickwork, or smooth plaster finishes, installing solid oak beams and laying the hearth of your choice. 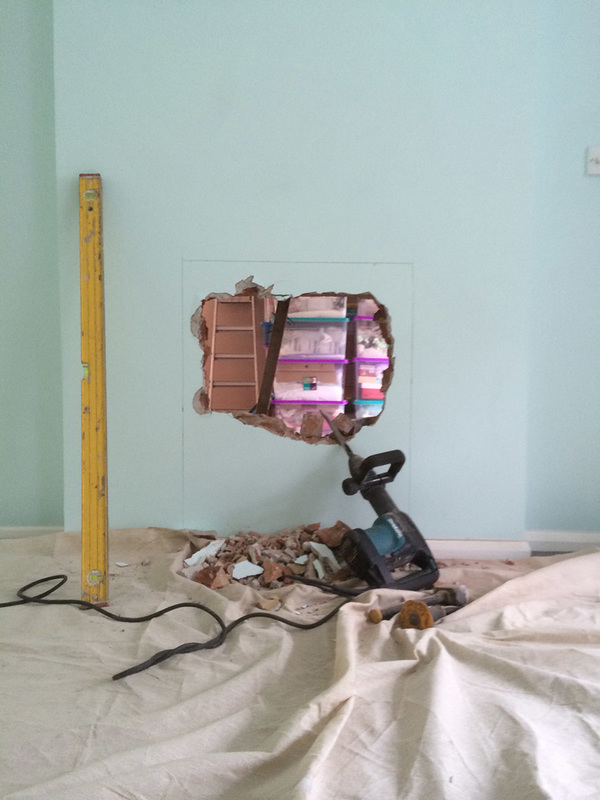 No job too big or too small. 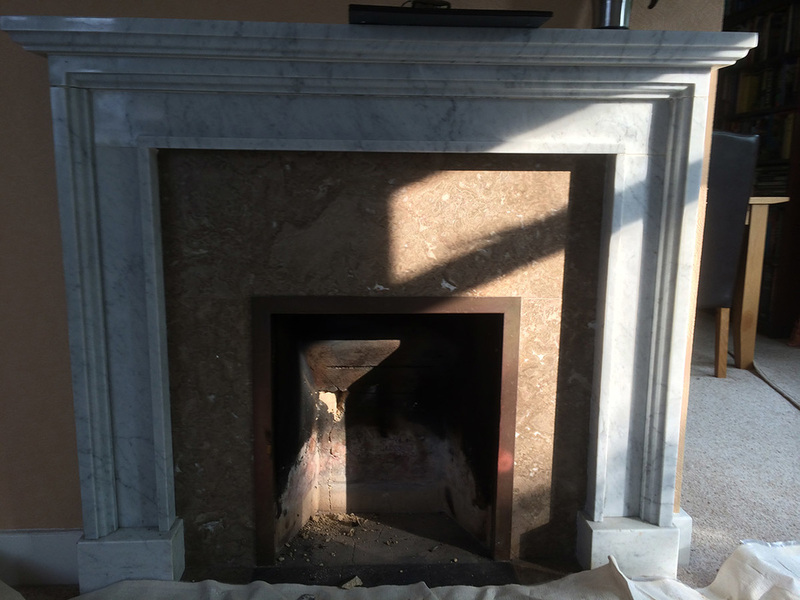 "Wow" was our client's reaction on this transformation. 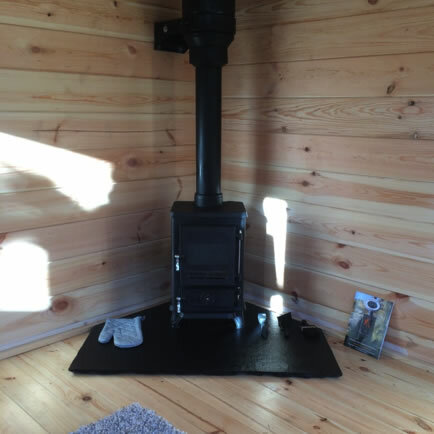 Beautiful Yeoman Devon Stove, will keep them nice and warm this winter. 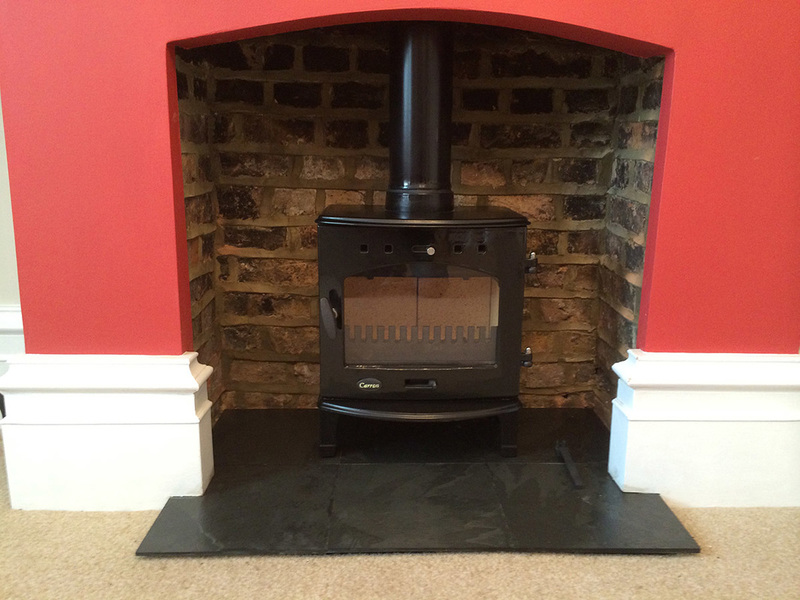 Before - Old gas fire and suspect brickwork! 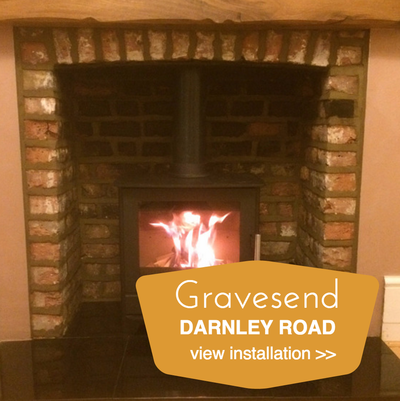 - Removal of old gas fire and brickwork to expose original opening. 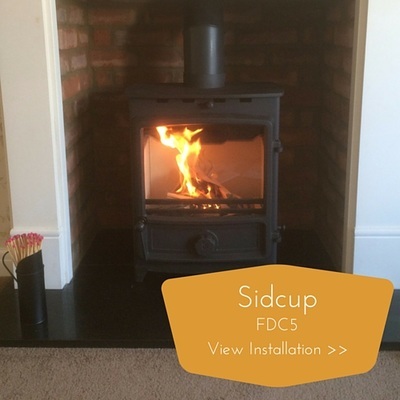 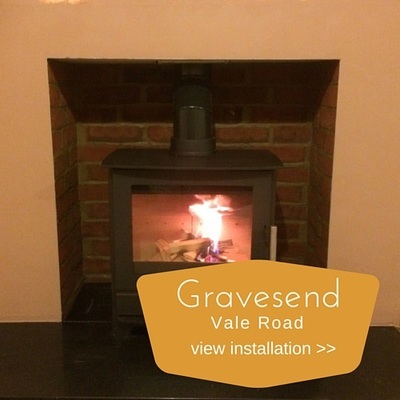 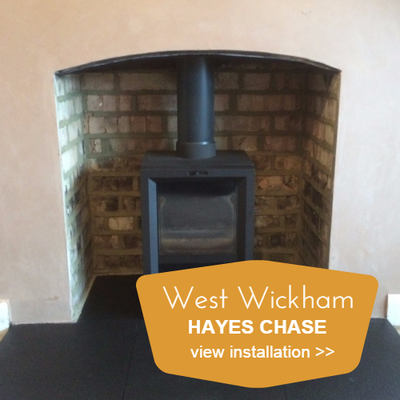 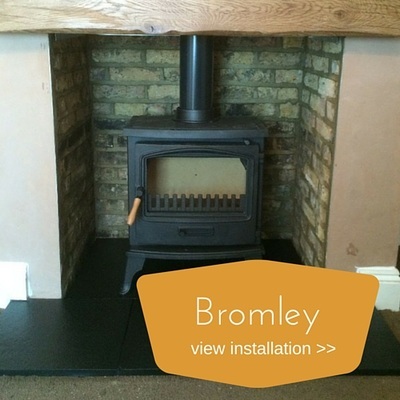 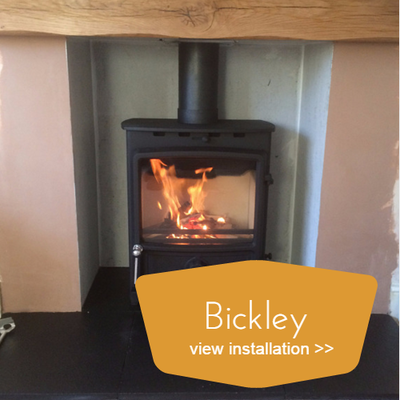 - Installed wood burner, new brick work inside and out, new lintel and hearth. 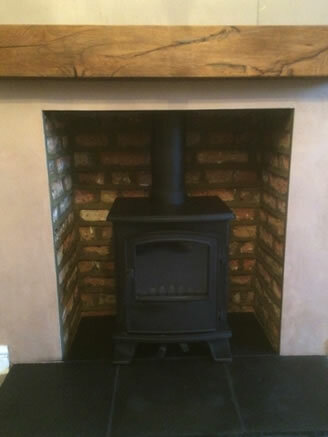 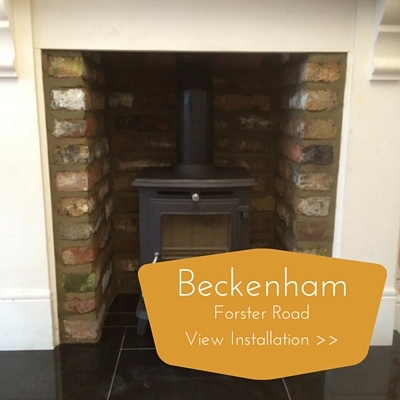 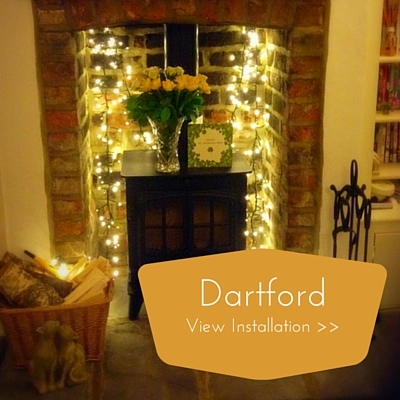 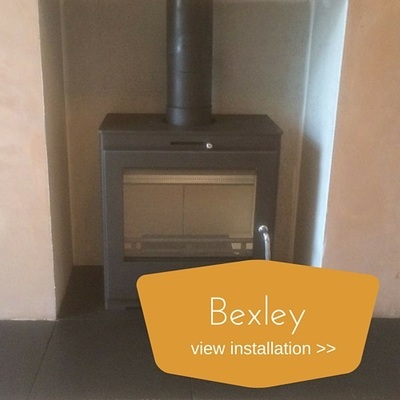 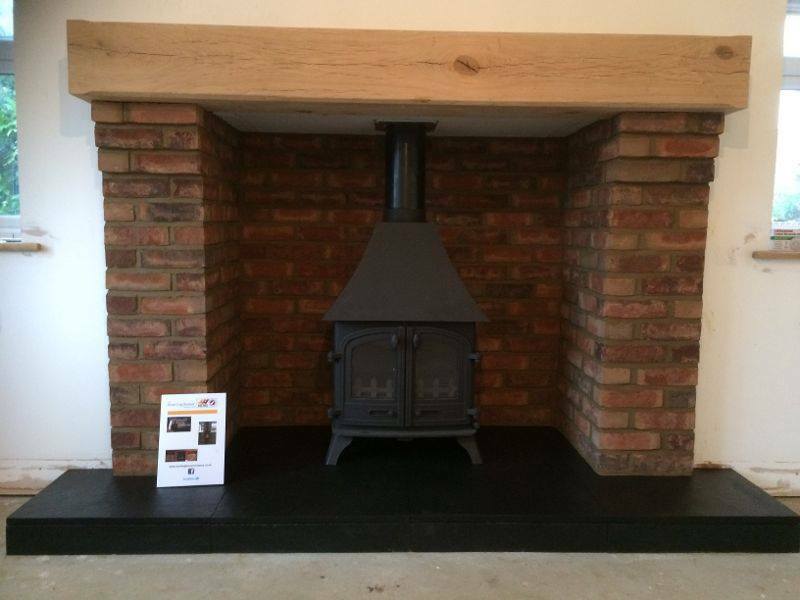 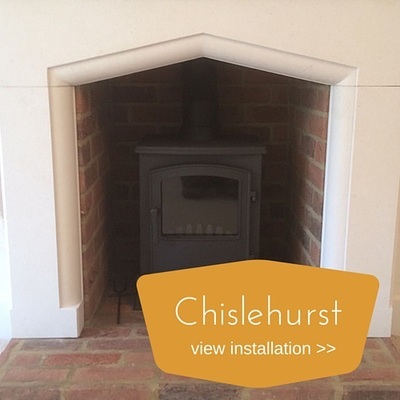 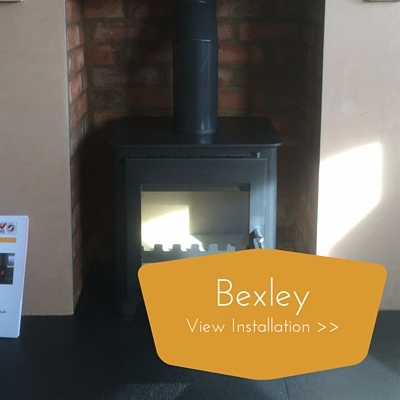 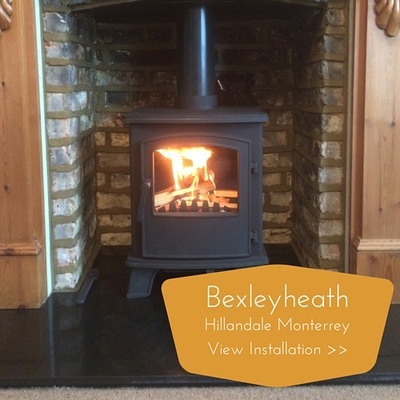 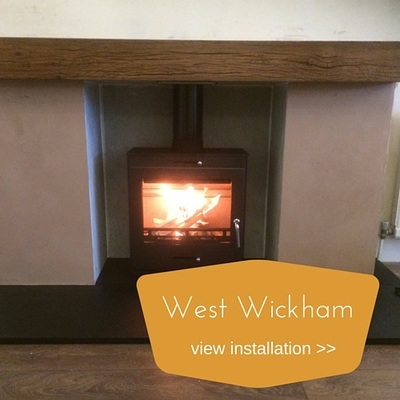 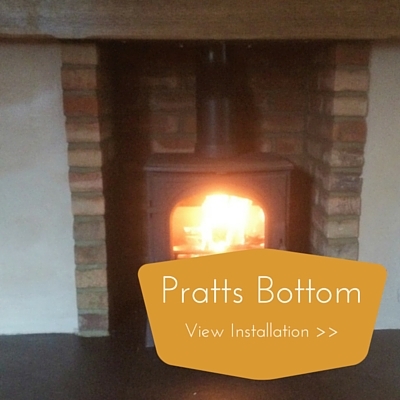 After - Stunning new center piece of any room, wood burner, brand new brickwork, lintel and hearth. 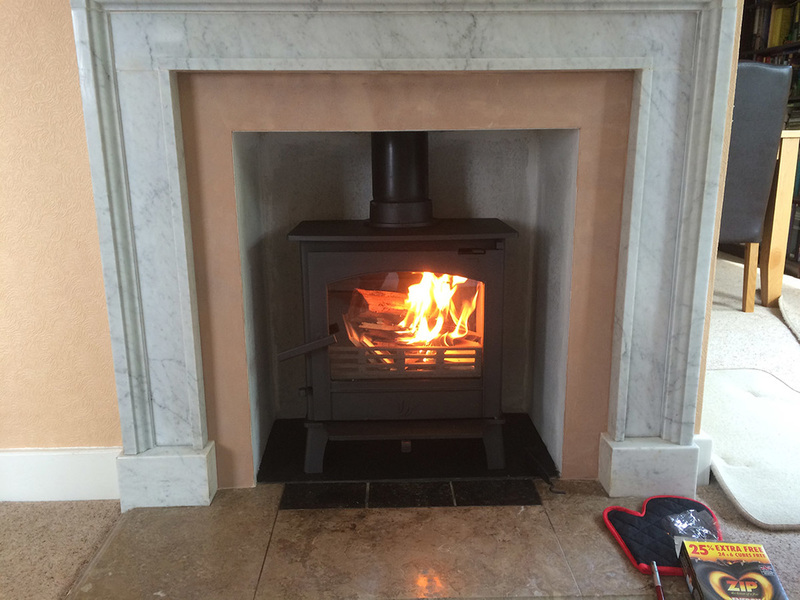 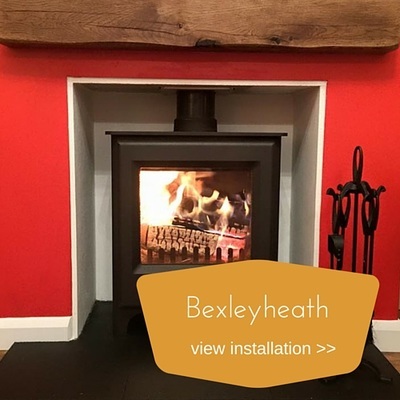 Heta Inspire Multifuel stove - very nice! 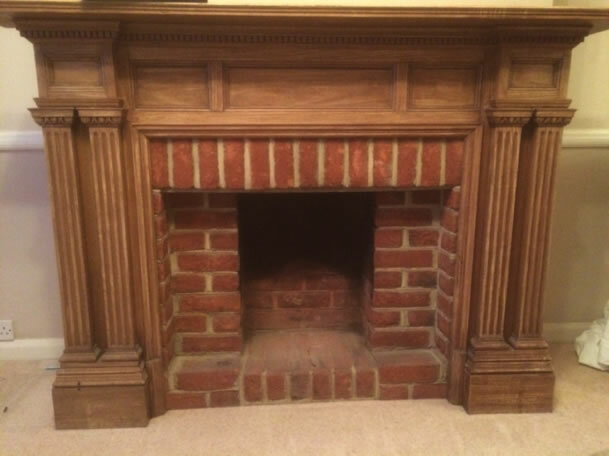 Before - Tired and outdated fireplace! 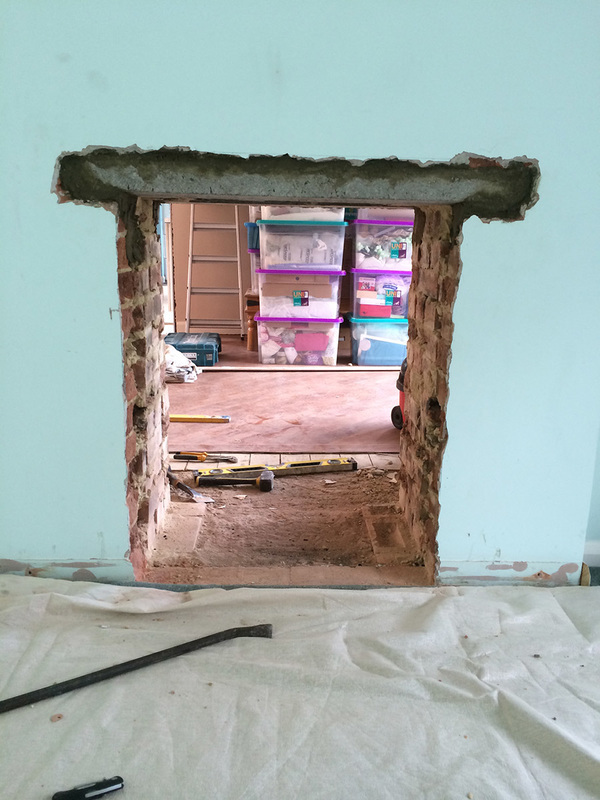 - Removal of old fire, brickwork and lintel to expose original opening. 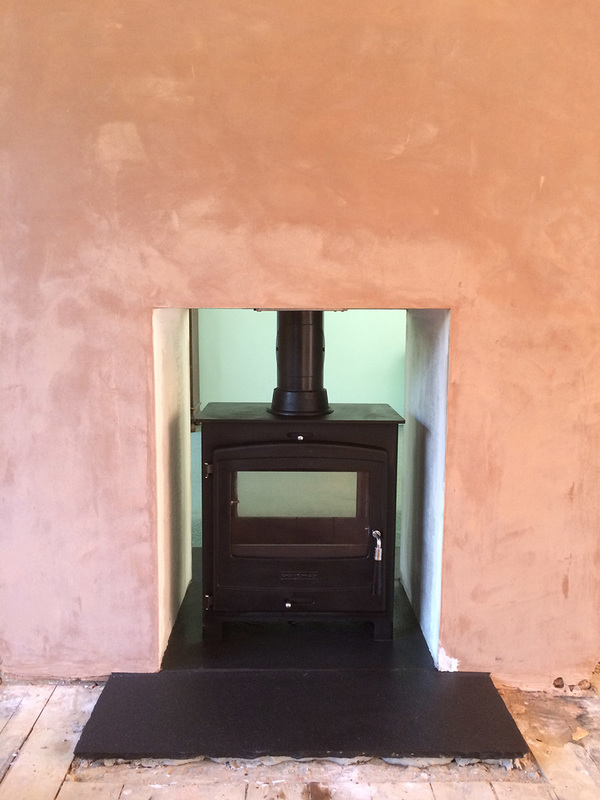 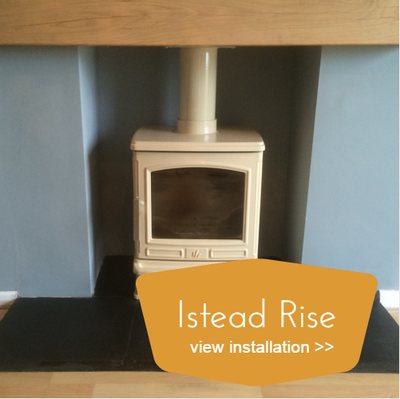 - Installed wood burner, new plaster inside and out, new lintel and hearth. 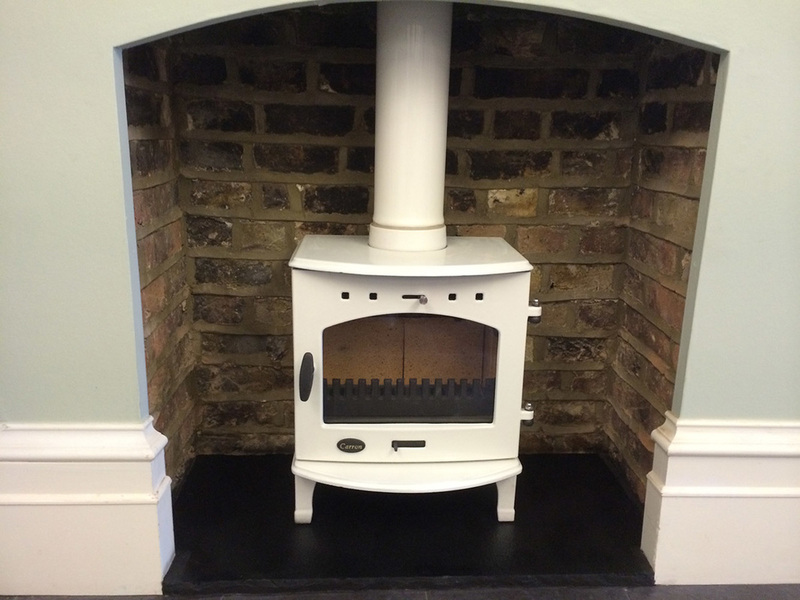 After - Clean and modern wood burner, brand new plaster, lintel and hearth. 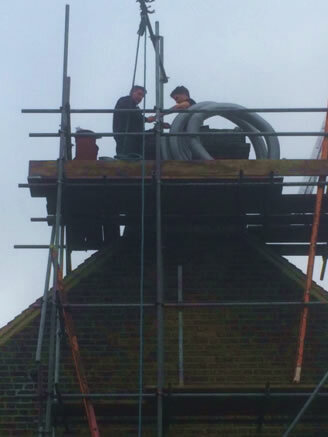 We do need scaffold sometimes to get the liner down, but it is rare! 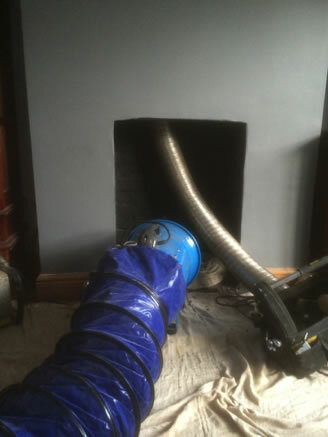 Our Super Duper Dust Extractor – so no dust when doing all that chopping out work! 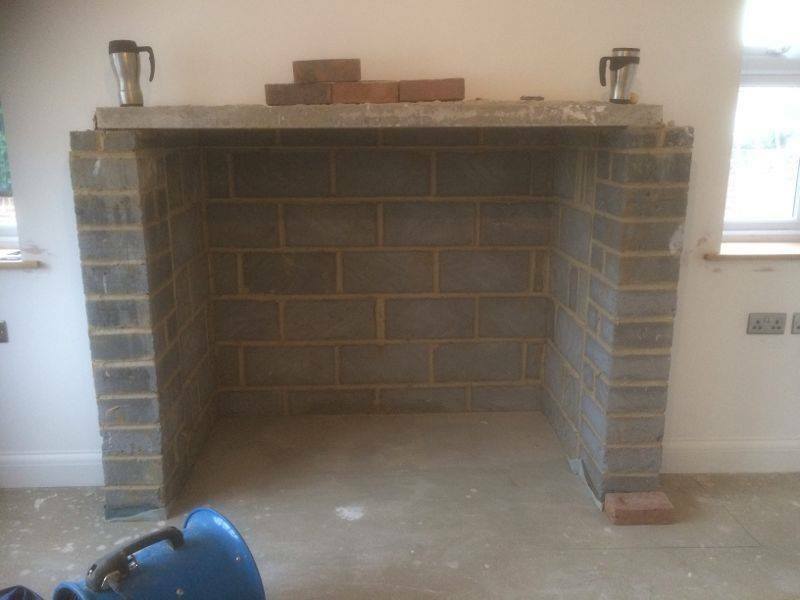 This is the before shot…………. 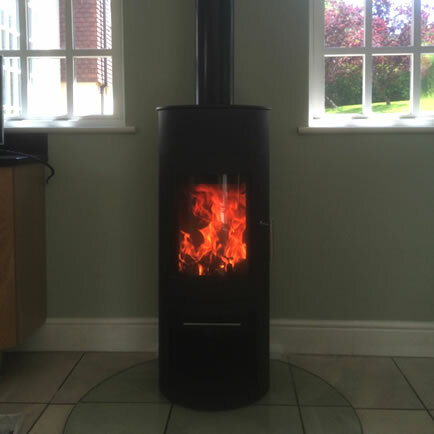 This is the final result – one happy customer! 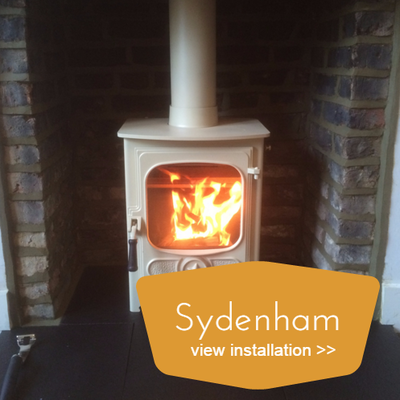 The lovely little Salamander Hobbit SE DEFRA stove! 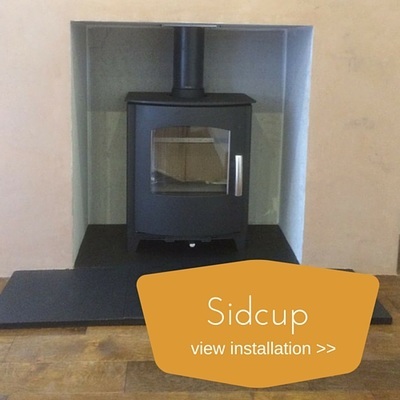 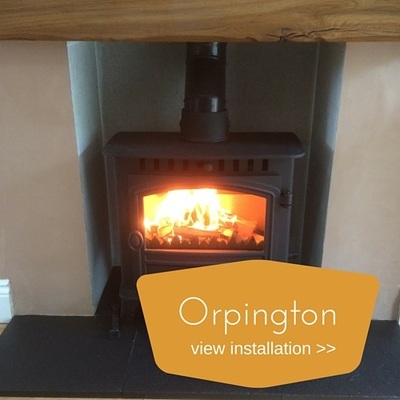 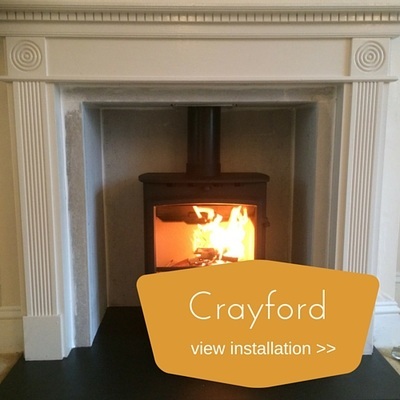 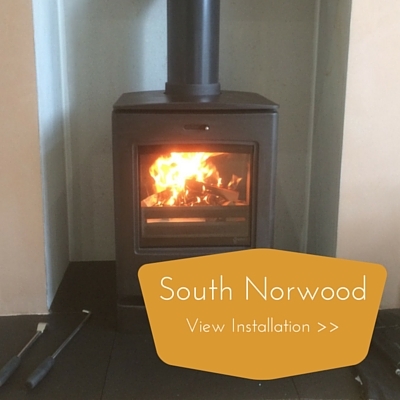 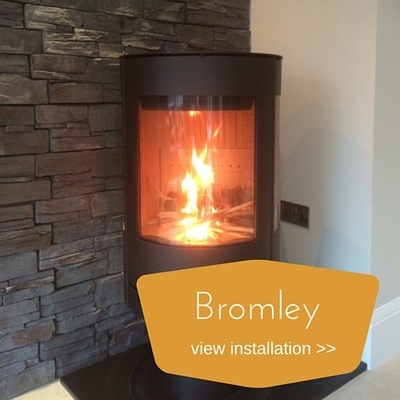 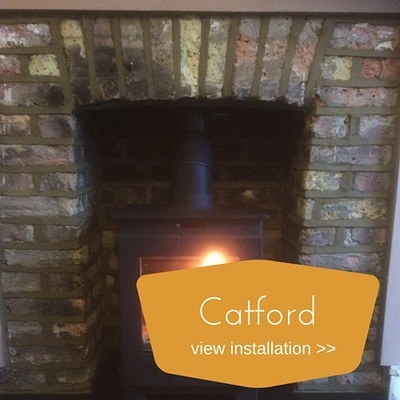 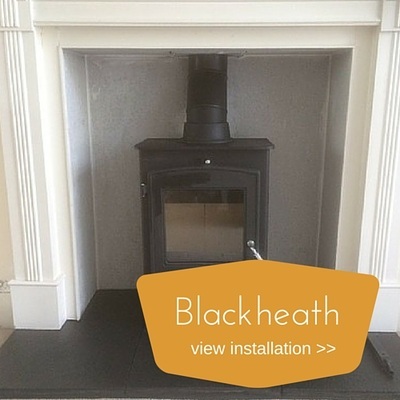 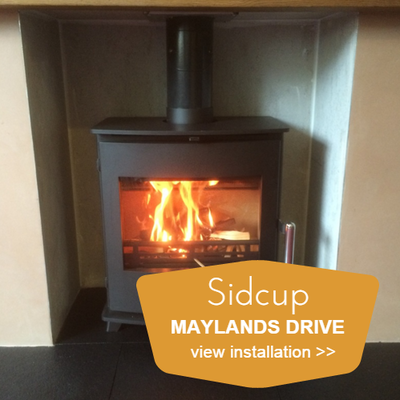 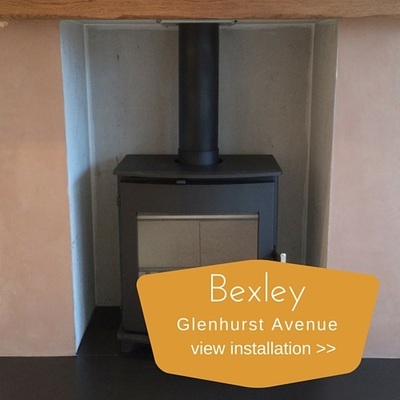 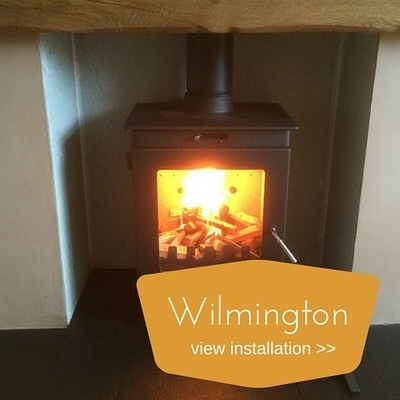 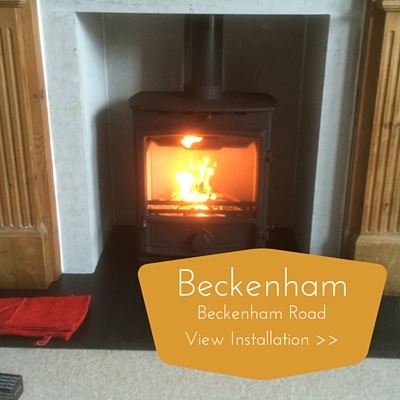 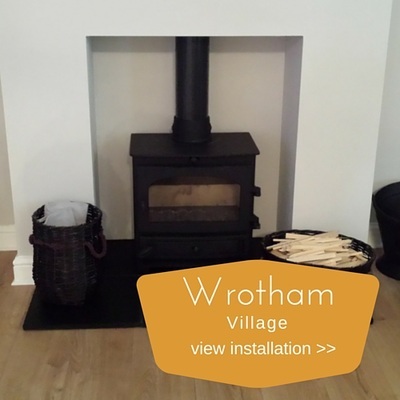 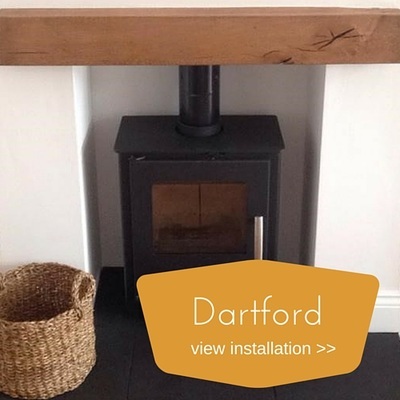 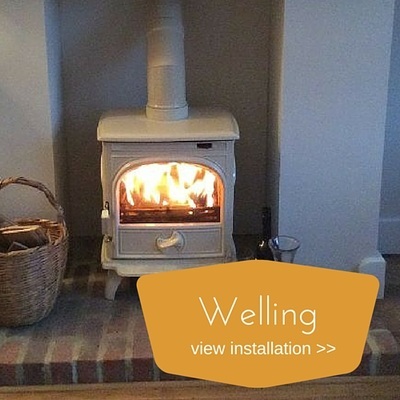 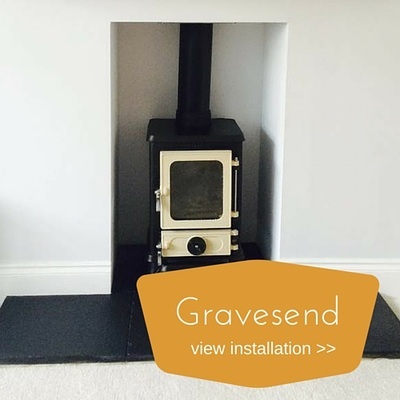 We installed this in a log cabin for a client in Eltham but they are also great for smaller fireplaces. 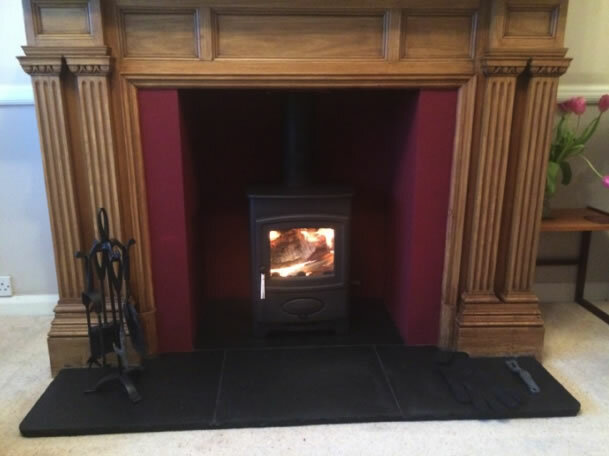 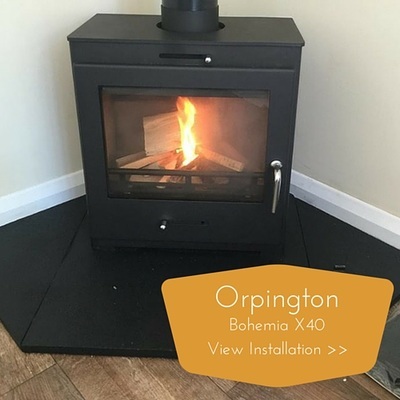 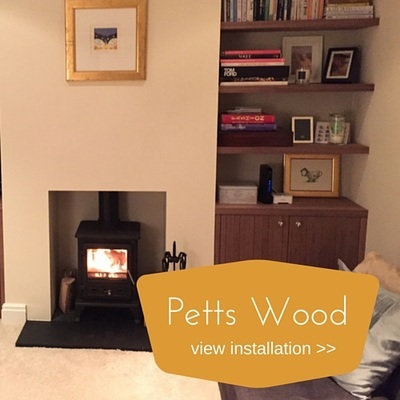 Want a stove to look at from both sides into two different rooms…..
Easy knock through and …..
and another Carron Enamel stove for the same client – they liked these!